First Multi-part Video Tutorial with MentorMob: Community Voices Interview Project Can Blogger.com Support Moderated Web Forms for Post Contributions Like WordPress? 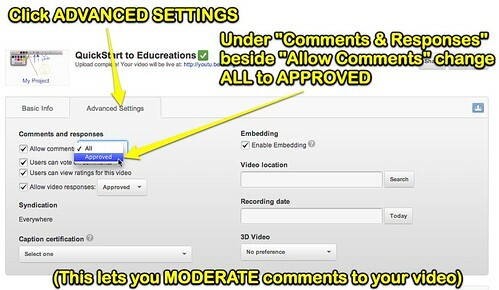 Here are instructions for uploading a video to your YouTube channel. 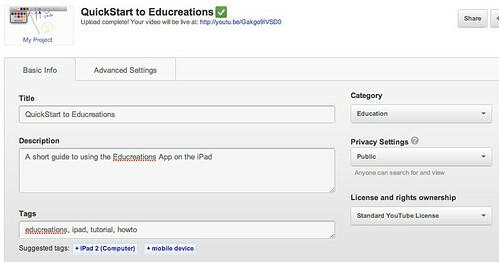 If you haven’t setup your channel yet, see the post, “Create an Educational YouTube Channel” and do that first. Visit youtube.com and click the SIGN IN link in the upper right corner. 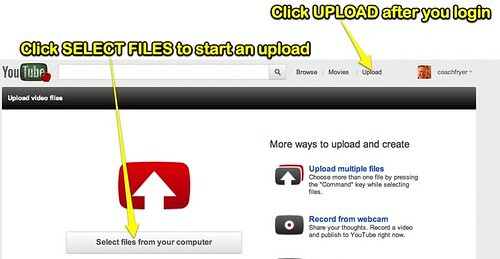 Click the UPLOAD link at the top of the window and select the video you want to upload. After you click open it will start uploading immediately. Type a desired title, description, and “tags” for your video. Add several tags, these are keywords which can help you and others find your video when searching. Set the category to EDUCATIONAL. The screenshot below shows an example with these settings defined. That’s it, you’re done! YouTube should automatically save the changes you make, or you can manually click the SAVE button at the bottom of the screen. 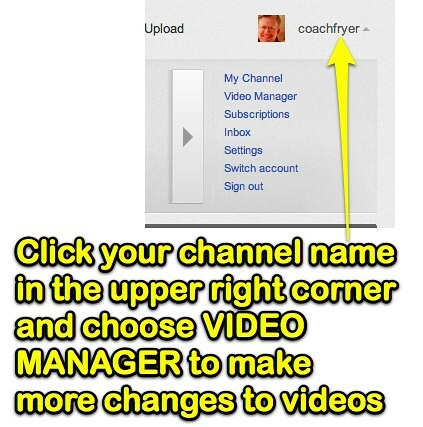 To make more changes to your videos, click your channel ID in the upper right corner and choose VIDEO MANAGER. You can also click MY CHANNEL to view the “public”version of your channel. This is what other people see when they come to your YouTube channel. Wesley, can I ask what you used to create this tutorial? I helped a high school math teacher this week setup a YouTube channel and upload his first video, he asked for a how-to guide to use as a reminder for the things to do in terms of meta info / comment moderation.